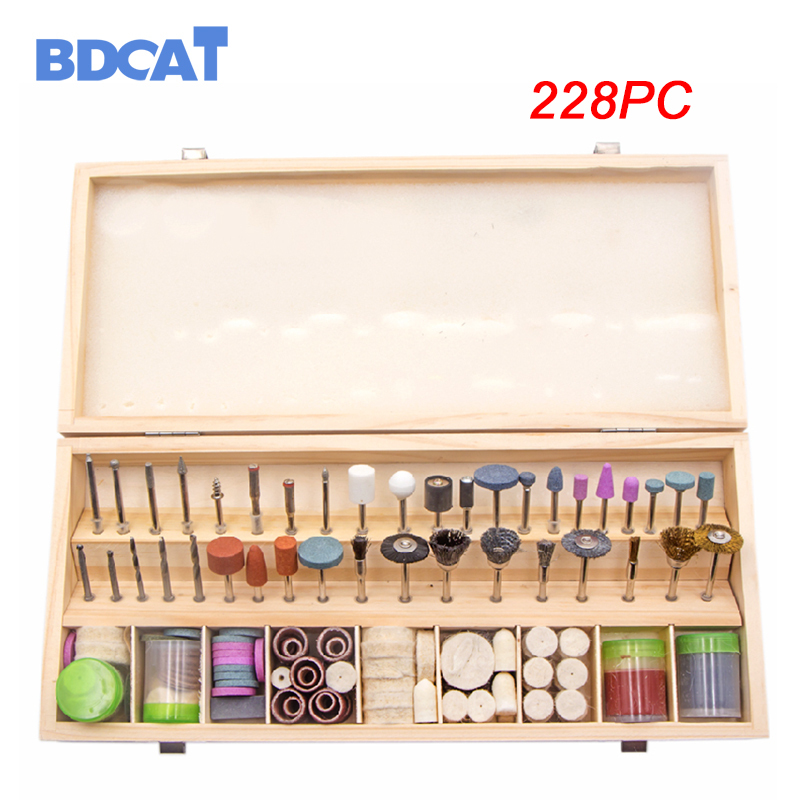 Complete 228 pieces rotary accessories kit includes everything you need for cutting, grinding, carving, engraving, shaping, sanding, cleaning, polishing and much more. 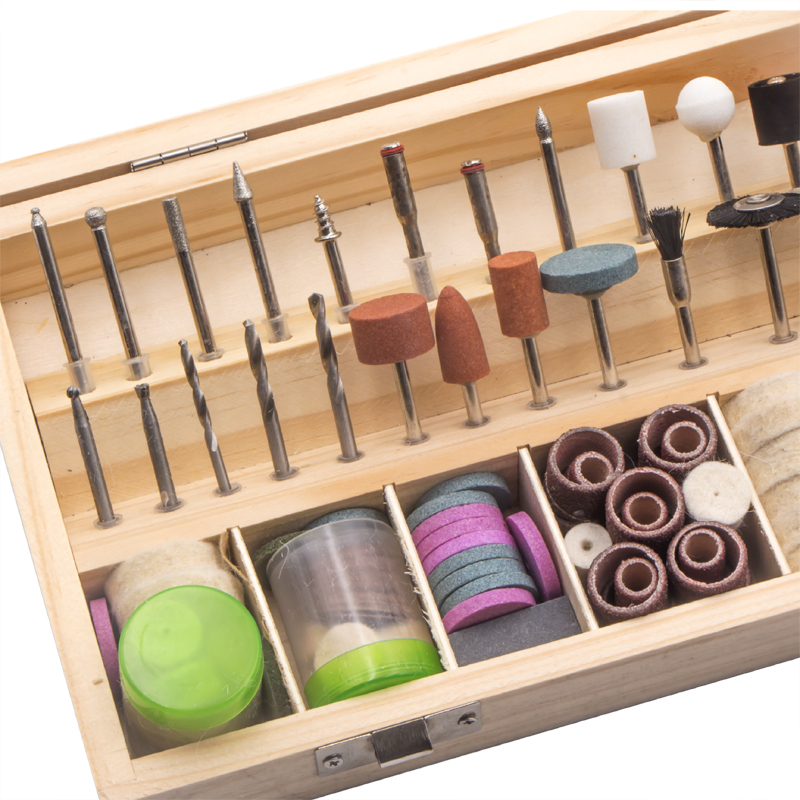 This set features many types of rotary tool accessory you could want. If you have a rotary / polishing tool, this will be a great additional item to go along your tools. It can also be used with most rotary tools. 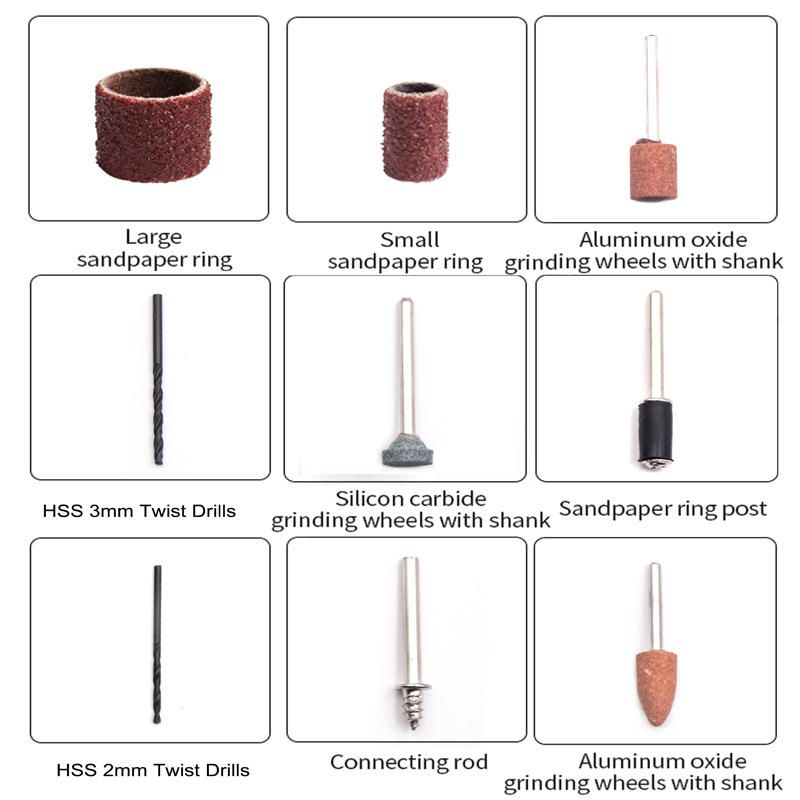 Shaped grinding wheels for cleaning, deburring, grinding and polishing. 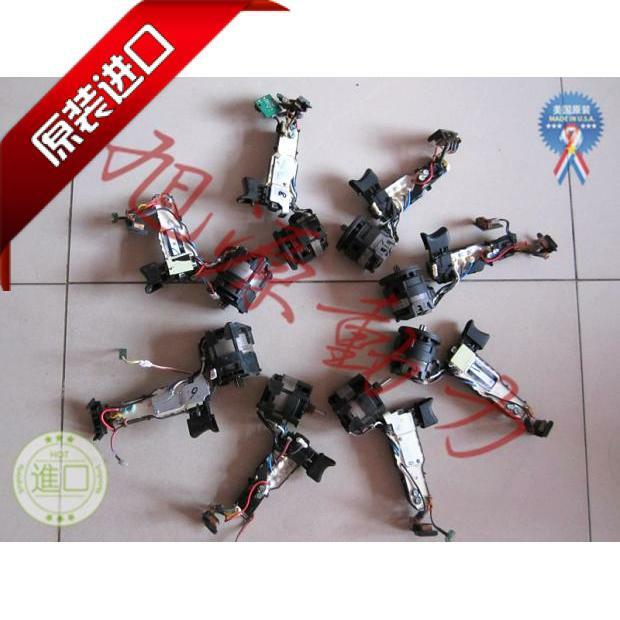 Suitable for most ferrous and non-ferrous metals, castings, welded joints, rivets, rust, stone, glass, ceramics and porcelain. Sanding drums and sanding disc for rough shaping and smoothing wood and fiberglass. 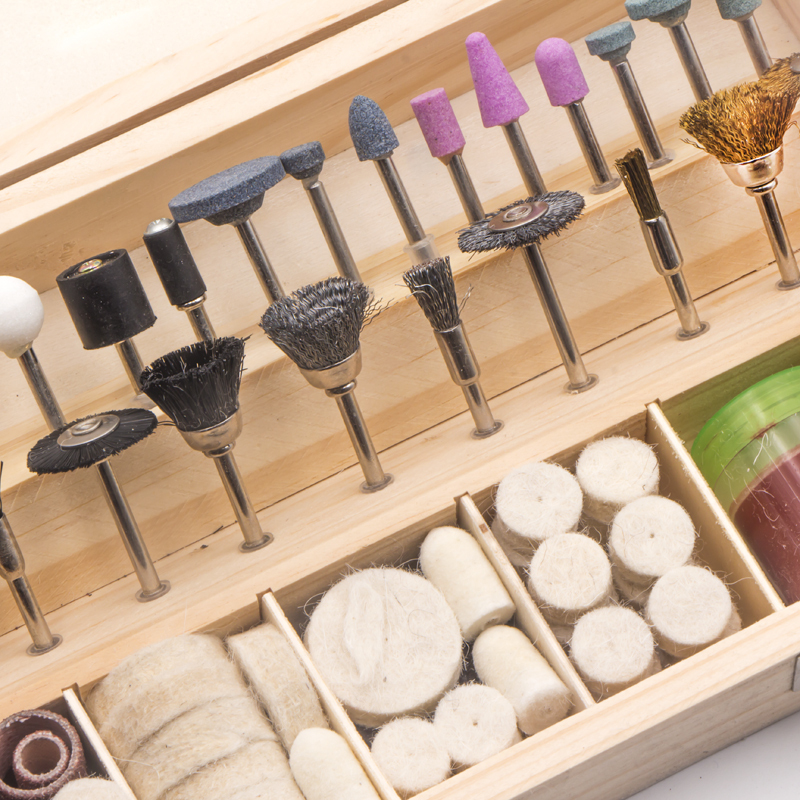 Accessories for fine detail work on jade, ceramic, glass, wood, hardened steel, cast iron, stainless steel, ceramics, soft steel, soft metals, plastics, fiberglass and wood. Cut off wheels for slicing and cutting most non ferrous metals, wood and plastic. Bristle brush for light deburring, cleaning and polishing of silverware and jewelery. 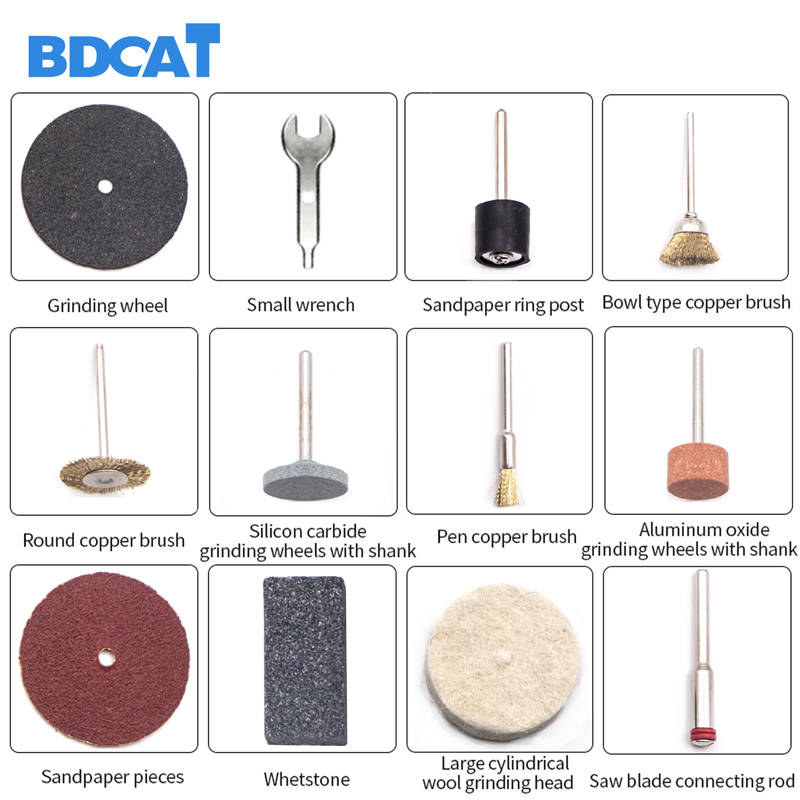 Accessories for removing rust, corrosion, and for polishing metals and cleaning electrical components. 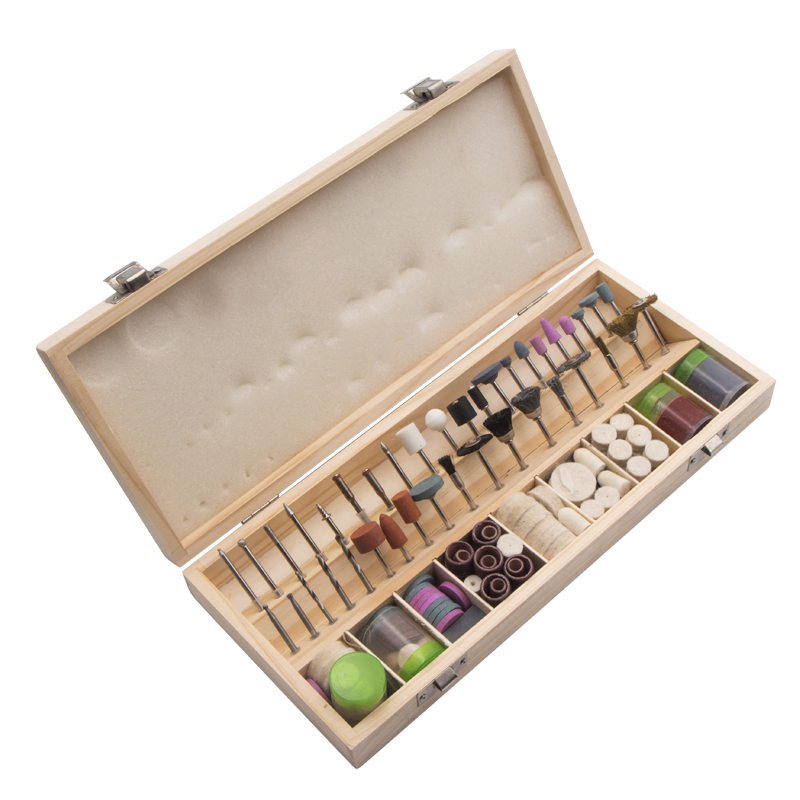 Great for all types of detail work in both hard and delicate materials. Polishing wheels for polishing metals and plastics. Accessories for working in metals, plastics, fiberglass and wood. Also includes collects and mandrels for use with the above accessories. Dressing stone for cleaning grinding wheels. Please note this item is new non-retail (bulk stock) contractor edition .